The organizers of the ING New York City Marathon and numerous other bike and road races are upset about new fees the city wants to charge for controlling traffic and other expenses. Race organizers tell The New York Times that the additional fees could significantly raise the costs of putting on some events. And the registration fees for some events could rise as a result, organizers said. Many of the city's running and biking events are growing -- 45,350 runners started last year's marathon, and organizers are pressing the city to allow it to expand to 50,000. The groups who put on athletic events already pay the city for some costs; last year New York Road Runners paid the Bloomberg administration more than $850,000, including $107,000 to the police, the Times said. But the NYPD wants to charge a new, separate fee for what it says is the increasingly difficult and expensive job of shutting down traffic for large events. New York Road Runners president Mary Wittenberg tells the Times the group is wiling to pay more, but wants the city to put off changing the fee until next year because so many of its events are already planned. The NYPD has not defined what the exact extra fees will be. 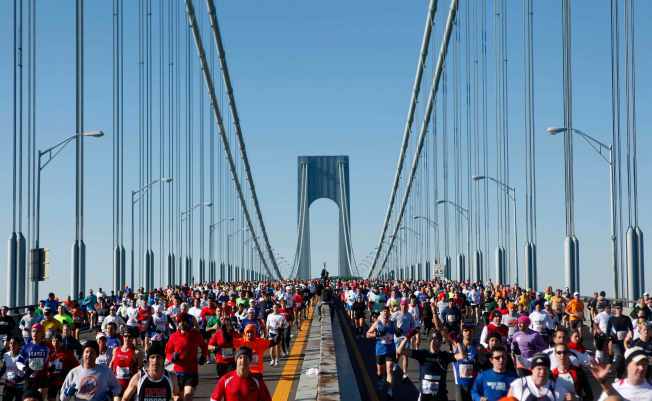 The next NYC marathon is Nov. 6. The city said that every agency is making difficult decisions amid tough economic times.